Salesforce recently added two new consultant certifications: the Salesforce.com Certified Sales Cloud Consultant certification and the Salesforce.com Certified Service Cloud Consultant certification. 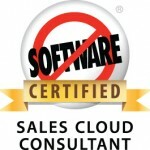 I believe the Certified Sales Cloud Consultant exam stopped being a "beta" exam in March of 2011. This is all my opinion, but splitting the consultant certification has allowed Salesforce to be more rigorous with the exam and test for mastery in that subject area. Previously on the Salesforce Certified Consultant exam, the scope was so broad that if you were weak in one of the subject areas, you knew the number of questions on that deficiency would be limited. If you were a strong Administrator, you had a shot at passing the Certified Consultant exam. After taking the test, I was a little surprised how deep some of the questions were into each subject area. 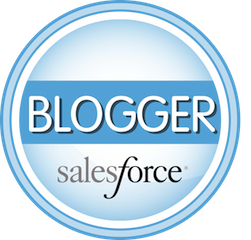 Bottom line – Salesforce raised the bar on the consultant exam! I’m not going to reveal any questions on the exam (seriously – don’t ask! ), but the Salesforce.com Certified Sales Consultant Study Guide is an accurate reflection of what you will see on the test. I took and passed the exam mid-March, which was during the Spring 11 release, and there were questions about functionality covered in the latest release. Topics you are likely to see on the exam (again, nothing to be given away here – these are listed in the study guide! ): Campaign ROI, Campaign Influence, Web-to-Lead, Dynamic Dashboards, Security Settings and Sharing (OWDs / Account Team / Sales Teams / Record Ownership), Person Accounts, Contact Roles, Quotes, Lead Scoring, Territory Management, Forecasting, Multiple Currencies, Jigsaw, Chatter, Customer and Partner Portals, Salesforce to Salesforce, data quality management, importing records, Business Process Automation (Workfow or Apex Trigger? ), tracking competitor products, etc., as well as a smattering of good old fashion project management mixed in. Anything on the sales side of the fence is fair game and the exam wants to see you craft solutions to sales scenarios using the tools available. Something that I thought was a little odd was that the same day I passed the exam, Salesforce sent me an email with a link to the logos and a picture of my certification embedded in the email. For spending $200 I would hope that they still send out an official paper certification.